Our story of leaving slavery + searching for freedom has fueled revolutions and revelations for centuries. In many dark times and places, it has been banned for just this reason. This is why, more than ever, we want to help you to tell it. There's a way, with just an hour or two, to design an altogether different kind of language at your Passover that allows everyone to participate, quells all arguments, and works for every age and background. Seriously. It is called music and R. Jessica has the keys to the castle. Come and learn a few deep grooves you can easily recreate and bring to your tables. This one's for you restless types: Social Justice teachers and GLIDE super heroes Isoke Femi, Vernon Bush and R. Michael Lezak team up with Kitchen Rabbis Jessica Kate Meyer and Noa Kushner for an experience of Passover (read: you'll be moving around) through narrative, study, some serious music, and very-of-this-moment stories. Come to connect the dots between Exodus and now, and get to know others from Kitchen and GLIDE who are ready and willing to do the same. Some ritual passover foods will be served but this is not your traditional seder. What if we told you we know how to teach your children about questions, freedom and moral responsibility and you don't have to make it all up from scratch? Passover is just this curriculum and our tradition has been fine tuning it for a really long time. 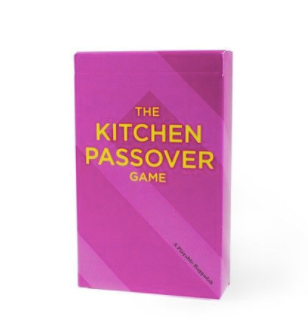 Join other Kitchen families for an early start seder -- and we'll support you in teaching it all to your littles and even (!) getting in a few minutes of adult conversation. *Willing to host? We love you. Let us know. You want your Passover to connect people to what matters. R. Tarlan has just the tools and texts that'll crack this holiday (and maybe even your biggest cynics) wide open. We're opening up this special Jewish 101 class to anyone interested. It's super hard to jump into passover without prep. For starters, you gotta clean up your act, not to mention your house. And who wants to do all this alone? So R. Tarlan's hosting a pre-passover party. Start to set aside chips, pretzels, cake, and did we say beer? -- and bring it all to R. Tarlan's house for a party / runway / wind up to the big freedom holiday. Trust us, you'll be glad you started before the last day. Life is short. Cooking a whole seder is hard. Not to mention it's hard to have a great night of learning + discussion with just yourself. We'll help you share the weight, the delight and the glory with other Kitchen-ites. While we can't promise anything fancy, we can assure you good people and good conversation in all locations. *Wanna host? Doesn't matter the size of your place or if you've ever made charoset in your life. We'd love it and of course, we'll help you all the way.